The VPN Lab - VPN Guides - What Is CyberGhost? CyberGhost is a VPN provider with an excellent reputation and more than 15 million users to date. It was founded in Romania in 2011 and is currently based in both Romania and Germany, with the German team being in charge of most of the software development. 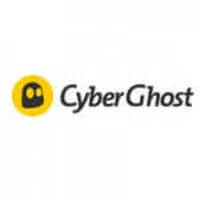 Until December 2017, CyberGhost offered both free and paid versions of its VPN software. Now, the free version has been replaced with a 7-day free trial. This may come as a disappointment to users who were looking for a powerful and free VPN. However, as we will explain in the following sections of this post, this VPN is more than worth the price. CyberGhost VPN service has an impressive server network with more than 1,300 servers in 51 world countries. Most of its servers are located in Europe, but there are still plenty of them strategically distributed across North America, Asia, Australia, and South Africa. The service offers great privacy and security with 256-bit AES encryption, DNS and IP leak protection, and a strict zero logging policy. The protocols available include PPTP, L2TP-IPsec, and OpenVPN. For enhanced anonymity, CyberGhost offers its users the chance to pay with Bitcoin and avoid sharing any sensitive information during signup. CyberGhost is compatible with all major platforms and operating systems, including Windows, Mac, iOS, Android, Linux, and routers. It allows as many as 5 simultaneous connections. Its user support is excellent and available via email and live chat. The speeds are excellent, the performance is smooth, and you get to enjoy unlimited bandwidth and traffic. The VPN is equipped with an automatic kill switch. Finally, CyberGhost boasts a variety of bonus security features that are not that commonly found in VPNs currently available on the market. These include ad-blocking, anti-tracking, malware blocking, and an antifingerprinting system. CyberGhost’s monthly subscription is a bit expensive and costs $11.99 per month. However, if you opt for the annual subscription, you pay just $5.49 per month. With the 7-year subscription, the price is unbelievably low and amounts to $1.99 per month. As we are writing this post, the 3-year plan comes with a great discount and costs $2.75 per month. All plans come with a 30-day money-back guarantee and 7-day free trial.